Carretera Punta Mita Km 0.2, La Cruz de Huanacaxtle. Punta de Mita, Nayarit, México. This application allows you to virtually enjoy some of the iconic attractions and most beautiful spots in the Riviera Nayarit. 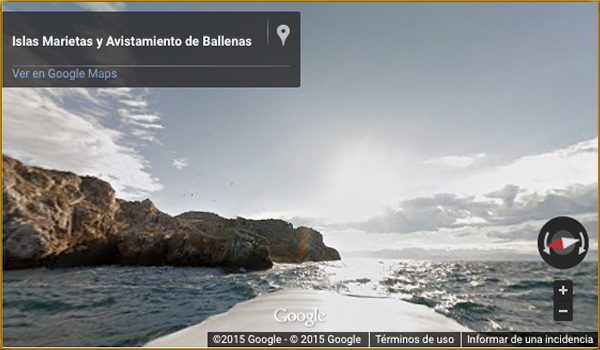 Now Web users will be able to see this marvelous location in Mexico’s Pacific Treasure with just one click. The Marina Riviera Nayarit in la Cruz de Huanacaxtle was also recently added to the app, as well as other attractions including Sayulita and San Pancho—all part of this special list of beautiful places. Check it out! Ya puedes ver algunos de los íconos y lugares más atractivos de la Riviera Nayarit en esta aplicación. Las más recientes tomas en 360° de la famosa aplicación Google Maps, captaron Las Islas Marietas, ícono de Riviera Nayarit y fueron colocadas en la sección de “Lugares Destacados de México”. Ahora los usuarios de la Web podrán tener este maravilloso lugar en El Tesoro del Pacífico Mexicano a un clic de distancia. También La Marina Riviera Nayarit de la Cruz de Huanacaxtle, entró a este registro recientemente y otros pueblos como Sayulita y San Pancho, por mencionar algunos, ya están en esta lista especial de lugares hermosos. ¡Échale un vistazo! En el ir y venir de este mágico viaje que llamamos vida, a menudo nos alejamos de nosotros mismos y los momentos para la reflexión son cada vez menos. Sin duda, al ir a un Spa, vas en busca de relajación y salir un poco de la rutina, pero en Makawe encontró mucho más, es un lugar único, es el oasis al cual llegar después de un largo camino, un remanso en medio de las montañas. Al entrar a Makawé de inmediato percibes una fragancia de especias dulces y de maderas que flotan en el aire y, con cada respiración, inicia la travesía a un mundo interior de paz. Casi sin darte cuenta, te vas entregando a la cálida y amable sonrisa del personal a cargo de Makawé. El Ritual de Relajamiento que recomendaron fue todo lo que necesitaba mi cuerpo y mi mente, como si adivinaran mi pensamiento. Resultó imposible no sucumbir a las manos expertas de mi Terapeuta, dejarme llevar en un torbellino de sensaciones y aromas, para entrar en una relajación mágica, en contacto con mi esencia, como no creía que lo lograría jamás. . . el más escéptico de los hombres disfrutaba la paz plena de la relajación. Ya en el área de descanso, pude deleitarme con los cantos y trinos de los pájaros, saborear el té de hierbas refrescante que esperaba en mi camastro, maravillarme por los colores de la naturaleza que abraza a Makawe, los aromas que impregnan el aire y las texturas de las piedras de rio de la piscina de sensaciones. Todos mis sentidos, luego de la relajación, estaban más despiertos y mi mente, lejos de las preocupaciones, más consciente de las pequeñas maravillas que me rodeaban. Ahora entiendo cuando dicen que en Makawé Spa realmente uno llega a disfrutar el Arte de no hacer nada, la paz en la esencia, la serenidad y plenitud de estar simplemente con uno mismo. In the coming and going of this magical journey we call life, we often turn away from ourselves and the moments to relax are more and more rare. Without doubt, when going to a spa, one is looking for relax and having a time away from the routine, but in Makawe there is lot more as it is a unique place amid the mountain. Upon entering Makawé, there is a scent of sweet and wooden spices floating in the air and with each breath a journey to an inner world of peace begins. Almost without realizing, one surrenders to the warm and friendly smile of the staff in charge of Makawé. The Therapist recommended a Relaxation Ritual and it was like she could read my mind, knowing how my body felt and how stressed I was. It was impossible not to succumb to the expert hands of my therapist, getting carried away by a whirlwind of sensations and fragrances, to enter a magical relaxation, in touch with my spiritual essence. It was hard to believe that I was in such a state of relaxation . . . the most skeptical man totally surrendered to peace and serenity (absolutely unplugged). Once in the resting area, I reveled in the songs of birds, savouring the herbal tea that was already waiting in my chaise lounge, I could marvel at the colors of nature that embraces Makawe while feeling, on the sole of my feet, the textures of river stones in the sensations pool. All my senses were awake and my mind, away from the worries, was more open to the small wonders that were surrounding me. Now I understand when they say that, in Makawé Spa one can really plunge in the art of doing nothing, the essence of peace, in the serenity of being just with oneself. We crisscrossed the planet to find the best honeymoon-perfect resorts, beaches, all-inclusives and more for our first-ever Travel Awards. This contemporary boutique hotel in Riviera Nayarit may sport breathtaking views and suites with private plunge pools, but the action is over at its beach club, Eva Mandarina, the resort’s private oasis with restaurant, bar, hammocks and sun beds right on Manzanilla beach, an uncrowded stretch of sand favored by trendsetting locals. The whimsical design by Mexican artist Abel Galvan and cheerful colors are refreshing and welcoming. You’ll find a ladder shooting up to the sky at the end of the surfboard bar top, oversized swing sets, thatch-roof palapas and contemporary art in the form of vintage modes of transportation, like a shipwrecked fishing boat and Volkswagen Bug. The margaritas here are near to perfection. Mexico is a diverse country in every sense of the word and its cuisine contains a wide range of timeless staples and regional specialities. The menu became more varied after the Spanish conquered in the 16th century, but it still retains influences from the Mayan and Aztec times. Mexican food is traditionally spicy and made from a few classic ingredients with straightforward recipes and a lot of garnish. The country’s capital, Mexico City, is home to half a million food stands that take in just about every part of the national diet. Many of the foods eaten here can trace their origins all the way back to the days of the Mayans and the Aztecs, in particular beans and corn which play a major role in Mexican cuisine, past and present. Corn on the cob is sold on street corners throughout the country, topped with anything from butter and salt to lime and chilli powder. Insects and plants, such as grasshoppers and cactus, that were eaten many years ago are still enjoyed today, either on their own or stuffed inside a tortilla. Another basic food is the mighty tortilla. Made from flour in the north and corn in the south, these can be eaten sprinkled with salt and warmed through for a classic snack or stuffed with meat for a more substantial meal. Tortillas also form the base of some of the country’s most popular dishes, such as enchiladas and tacos. Enchiladas are covered in a tomato and chilli sauce and stuffed with meat, cheese, vegetables or seafood. Often eaten at breakfast, these are a milder, healthier version of the taco – which is fried until crunchy and then filled with meat or vegetables. Enchiladas also date back to the Mayan times when people would eat fish wrapped in corn tortilla. Chilaquiles are another tortilla-based breakfast dish that include yet another Mexican staple – salsa. These lightly fried corn tortillas are topped with salsa, eggs and pulled chicken, with plenty of cheese, sour cream and beans added for good measure. Chillies are used liberally in many dishes and range from fairly mild to absolutely scorching. Large Poblano chillies are stuffed with cheese or spicy meat (picadillo) and served as a main meal. If you are lucky, you will be able to try a variation on the traditional Poblano chilli dish in the form of chiles en nogada, which also includes chopped fruit and spices. This a patriotic dish that boasts the three colours of the Mexican flag with the green of the chilli, the white of the cream sauce and the red of the pomegranate seeds. History suggests that this dish was first served to a former Mexican emperor. Smaller chillies are often used to garnish and in dips such as guacamole – an extremely popular dish that dates back to the time of the Aztecs. Guacamole is also a fine example of the style of traditional cuisine as it contains just a few classic ingredients, bright colours and intense flavours. Sauces and dips play a large role in the diet, with sour cream and salsa also counted among the most popular. It is surprisingly easy to be vegetarian in Mexico as the diet contains a few classic dishes with a lot of flavour that don’t require meat. Quesadillas are the perfect dish for vegetarians and those who wish to avoid spices, too – these are grilled tortillas stuffed with cheese, beans and salad. Beans are most often seen in the form of frijoles, where they are boiled and refried then served as the main part of a meal or as a stuffing or side dish. Finally, there is the country’s famous fish and seafood. Boasting hundreds of miles of coastline and deep ocean waters, Mexico is home to some of the most delicious seafood in the world. 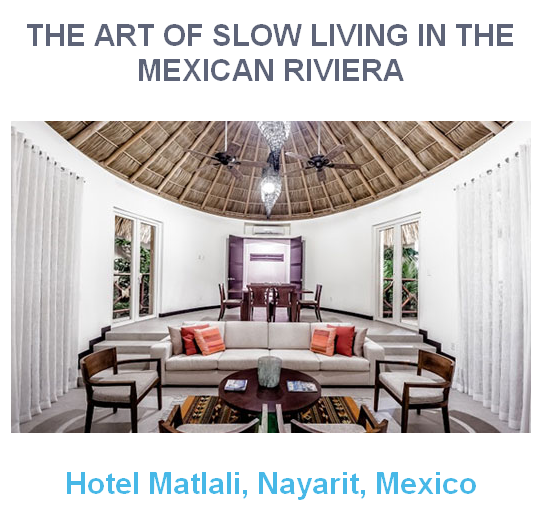 The Matlali Hotel in the Nayarit region on the Pacific coast is perfectly situated to take advantage of the delectable cuisine and beautiful beaches of western Mexico. The hotel’s Raixes restaurant is world-class and features an expansive terrace where you can enjoy the best of the local seafood. One of the most famous regional dishes is theHuachinango Saradeado – marinated red snapper grilled over coals. A really traditional experience will see the fish smoked over mangrove wood and marinated with lemon and chilli sauce, then served with tortillas. The Nayarit region is also one of the world’s best locations for shrimp, in particular the tlaxtihuilli (shrimp soup).Ceviche – raw fish marinated in lime juice – is another regional speciality that tastes divine eaten al fresco against the backdrop of the ocean panoramas. A classic grilled fish meal will be perfectly complemented by a refreshing drink, perhaps a margarita from the country that created tequila or an ice-cold beer – one of Mexico’s most famous exports. And all that is left to say is buen provecho! 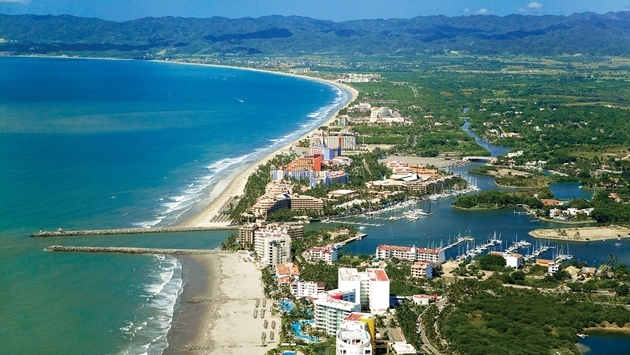 In 2014, the number of travelers visiting Riviera Nayarit increased 17 percent over 2013. “Last year, we welcomed a total of 2.42 million people to the destination and saw an eight percent increase in tourism revenue to $1.8 billion,” said Zarkin, adding that the boom in business is continuing undiminished this year. As Riviera Nayarit’s star continues to rise, its tourism infrastructure is becoming increasingly more sophisticated, with new hotels coming online and existing properties undergoing major renovations. For starters, ground is expected to break by year’s end on the ultra-luxury One&Only Mandarina, which will house 145 villas nestled in a rainforest, with accommodations ranging from ocean cliff villas, tree house villas and mountain villas. 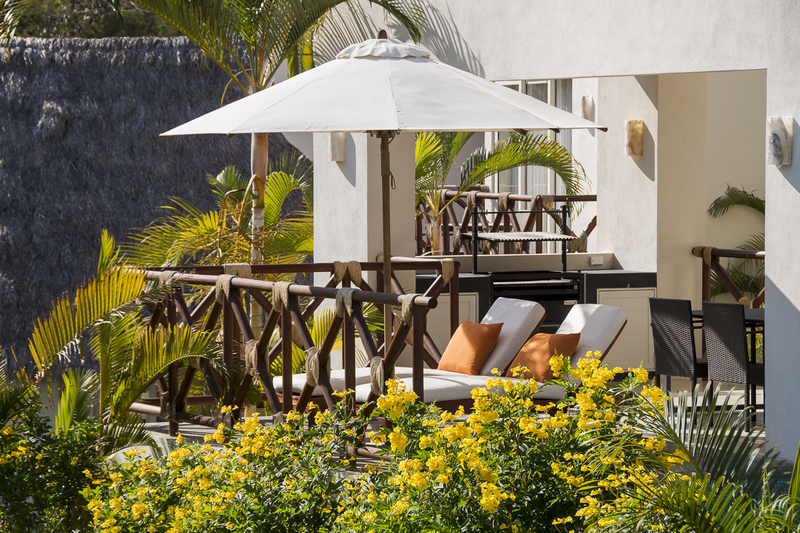 The Matlali Hotel in La Cruz de Huanacaxtle recently opened its doors, featuring 40 villa-style accommodations with ocean and mountain views, fully equipped kitchens, and separate living and dining areas. In the beach town of Bucerías, work is scheduled to begin at year’s end on a boardwalk with shops restaurants and bars designed to enhance the new marina. Bucerías will also soon be the recipient of an artificial reef that will extend nearly 100 feet. In still more developments, Riviera Nayarit is about to become more accessible, with a new swath of 30-plus miles of highway between Jala and Compostela set to open this summer. Air connectivity to the destination has been enhanced as well. Southwest Airlines received approval for flights from Houston to Gustavo Diaz Ordaz International Airport in Puerto Vallarta, with service scheduled to commence in October. On June 7, Southwest will add flights to Puerto Vallarta from Santa Ana, Calif. Alaska Airlines plans to add thrice-weekly between Santa Ana and Puerto Vallarta, pending Department of Transportation approval. Mexico is a country with a thousand faces – from the beautiful beaches along the Pacific and Caribbean coasts, to the colourful towns of Oaxaca and Guadalajara and the world-famous ruins at Chichen Itzá. But it is within the small villages and indigenous communities that you will find the heart of Mexico and discover exactly what it is that makes this country so special. The Riviera Nayarit or “The Mexican Riviera” is situated along the Pacific Coast and includes the beautiful city of Puerto Vallarta, a place that Elizabeth Taylor and Richard Burton once called home. The region is home to an abundance of authentic indigenous life, with many Indian villages and a prominent Huichol community. These villages are scattered along the coastline and situated close to one another, framed by the beautiful Pacific waters on one side and the dramatic Sierra Madre mountain range on the other with sugar cane fields and papaya, mango and tobacco farms tucked in between. Named “the enchanted towns” by the Mexican Tourism Department, these villages embody everything that is authentic about Mexico in a region where the views are as lively, bright and full of life as the inhabitants. La Cruz de Huanacaxtle is a colourful and vibrant village located around 25 kilometres outside of Puerto Vallarta. As you wander the maze of cobbled streets that make up this charming fishing village, the smell of tortillas fills the air and mingles with the exotic notes emanating from the instruments played by the many street musicians. 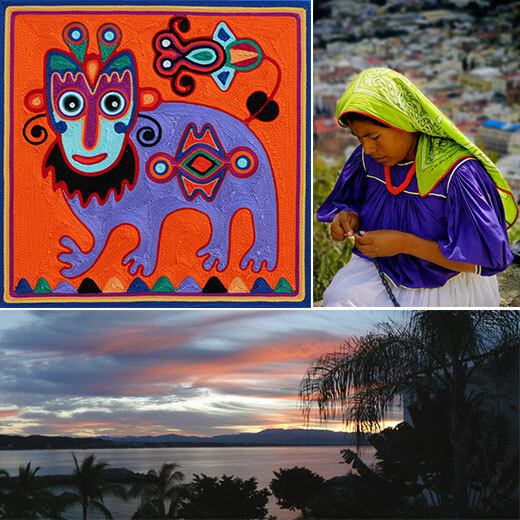 The Huichol people are notoriously reclusive but if you listen carefully, you will hear the magic of their language from those who come to La Cruz de Huanacaxtle to sell their crafts. Their artistic talent and craftsmanship are astounding and their brightly coloured clothing, handicrafts and jewellery are easy to find in villages across the region, either on market stalls or hanging in art galleries. La Cruz de Huanacaxtle is also home to the largest marina in Central America, making it a popular anchorage spot for passing sailors. 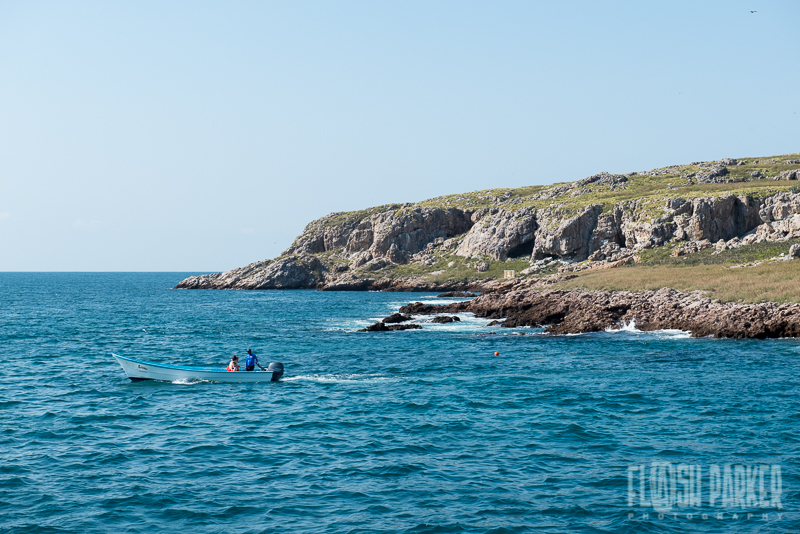 It is especially vibrant when the fish and farmers’ markets are taking place, where you can mingle with the locals and sample the fresh catch of the day.